Before I show you what's in there, let me show you my bag. 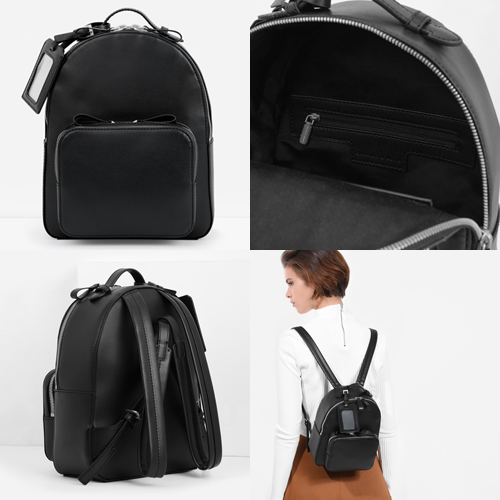 Without any delay, let's start spilling the secret contents of my bag. 1. Black Wallet from Kate Spade, which I received from my friend last Christmas. 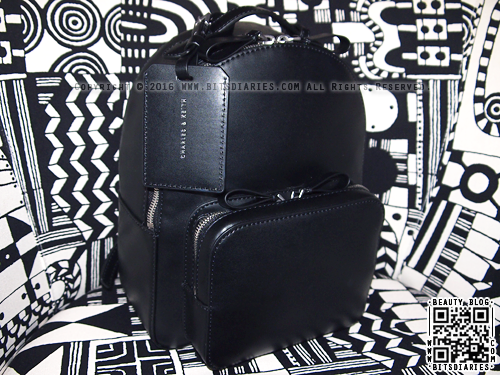 Perfect wallet for small bag. 2. iPod Classic (6th generation) and Beats earphones. The iPod has been with me since Year 2008, and it's still going strong. It has 120GB of storage space, so I also use it as an external hard drive. By the way, I've dropped it multiple times and surprisingly, it's still working perfectly fine. Very very sturdy! Hah! 4. Tissue + Coin Pouch from Thailand's brand NaRaYa. This is where I keep my keys. 5. 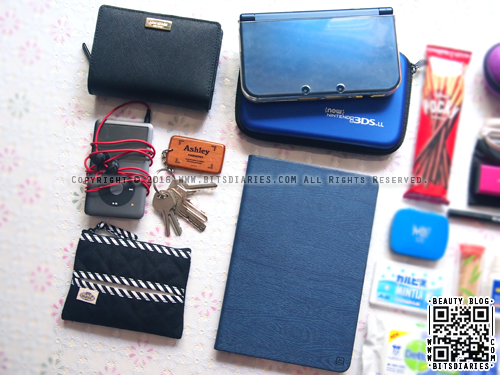 New Nintendo 3DS XL (Metallic Blue) and Pouch + the game "Story of Season". 6. iPad Mini 2. This is the device I use to LINE Chat with you folks. Sometimes I use it to write my blog post as well. - Chocolate Pocky. I have been addicted to pocky lately. There was actually 2 packs, but I ate one. Tee-hee! DID YOU KNOW? : Pocky products tend to taste differently, depending on the manufacturing locations. I highly recommend to get Made In Japan ones because nothing beats the authentic taste. 8. 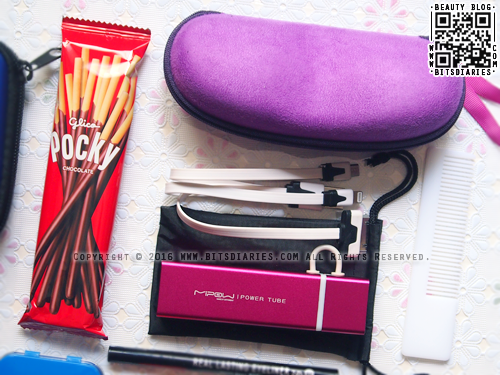 Spectacle Case with missing spectacles hahaah. I didn't include my spectacles in the picture because I'm wearing it. I normally wear contact lenses and I always bring my spectacles with me as back-up. - Impact Mints in Ice Mint flavor. This is my all-time favorite candy brand and flavor. - Mintia in Calpis flavor. I recommend giving Mintia a try if you're ever in Japan. They are really good! 14. 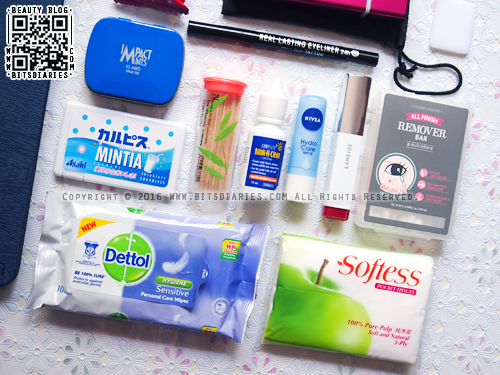 Makeup Products — Nivea Hydro Care Lip Balm, Laneige Two Tone Lip Bar #02, K-Palette 1-Day Tattoo Eyeliner and Etude House All Finish Makeup Remover Bar. 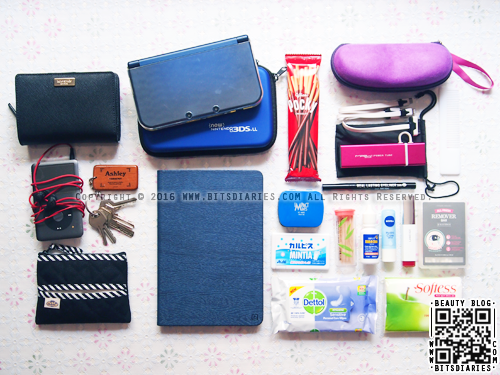 I keep them in the front zip pocket of the bag, so that they are easy to reach. That's it. These are all the stuff I usually carry in my bag. 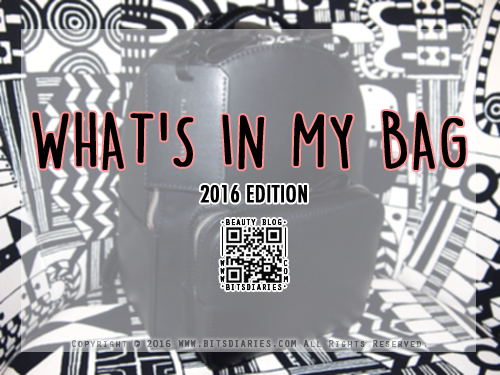 So, I've revealed my secrets and now it's your turn to let me know what's in your bag. If you have any post requests or questions, let me know via LINE app. My LINE details can be found in the sidebar and on my blog banner. Stay tuned for my next update!